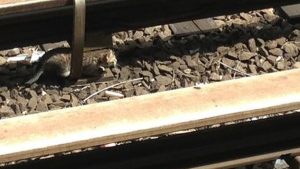 Two kittens, living out an urban/feline version of The Tale of Peter Rabbit, took a Subway Adventure earlier today and caused the MTA to halt subways on the B and Q lines for an hour. According to witnesses, many people on the train wanted to help capture these tiny urban voyagers. The MTA wouldn't allow passengers to assist for safety reasons and because how many goddamn New Yorkers does it take to catch two cats? 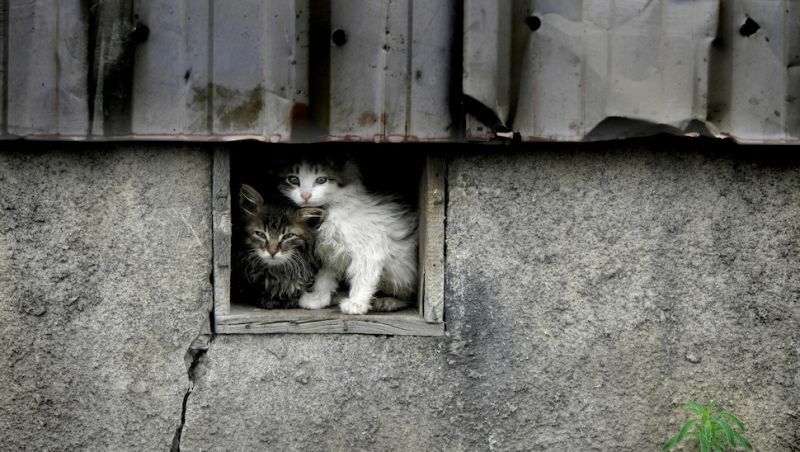 NBC reports that "workers in reflective vests tried to corral the felines," which, again, took them one hour. Power was shut off while these reflective vest-wearing kitten catchers attempted to coax the baby cats into carrying cases. Important update! The kittens have been put up for adoption, so you can have such a good story about your rambunctious little pets. Plus a new photo for no reason other than look at their little noses, so cute next to that subway wrapper.